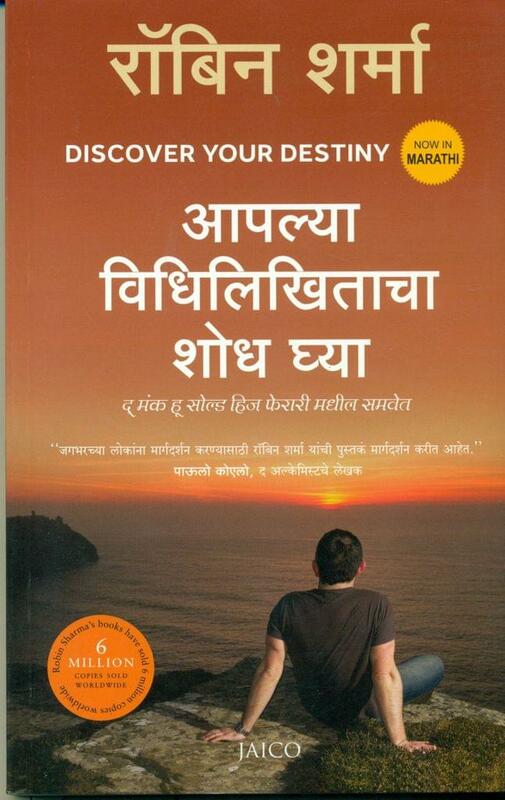 Now in Marathi, like the other bestselling books that fueled the worldwide Monk Who Sold His Ferrari phenomenon, Discover Your Destiny is written as a rich and rewarding fable. Readers are introduced to Dar Sanderson, a highly ambitious executive who appears to have it all on the outside but lacks happiness, meaning and inner peace. A serendipitous encounter with Julian Mantle, the now famous Monk who has discovered the secrets to lasting success, sets Dar upon an extraordinary odyssey to find his authentic self and claim the life of his dreams. Along the way, Dar learns seven potent lessons that are essential to living one's biggest life and shining brightly in the world.